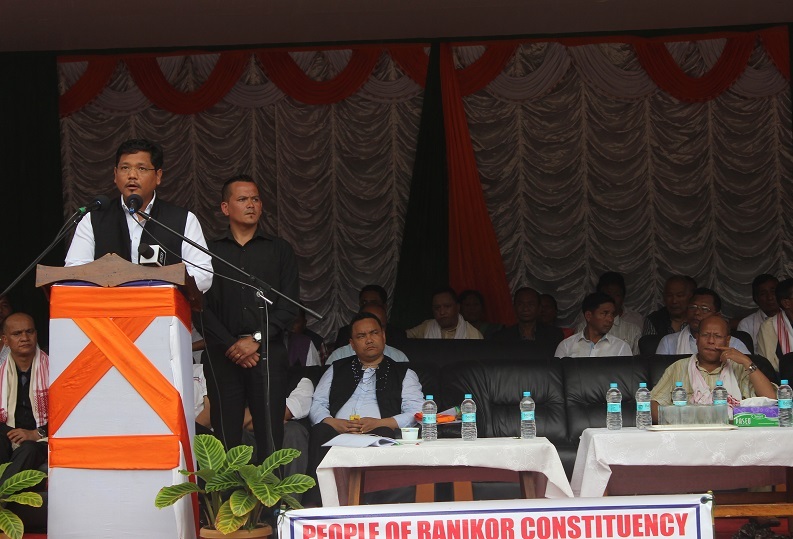 The NPP-led Meghalaya Democratic Alliance (MDA) Government will fulfill one of its promises to the people of Ranikor before going to the bye election in Ranikor Assembly constituency by inaugurating the much-talked Ranikor Civil Sub Division on Tuesday. An announcement made by the Ranikor Civil Sub Division Demand Committee (RCSDDC) on Monday, said that Deputy Chief Minister, Prestone Tynsong will inaugurate the Ranikor Civil Sub Division at Ranikor ground in South West Khasi Hills district at 11 am on Tuesday. Various dignitaries are expected to attend the function. RCSDDC chairman, Kitborlang Nongrem and secretary, Nelbi T Sangma also invited the people to attend the function. Former Congress MLA, Martin M Danggo who resigned as MLA on June 21 is likely to join the NPP on Tuesday, and re-contest the upcoming bye election to the Ranikor seat on NPP ticket. Danggo had resigned as MLA and from the Congress after Chief Minister Conrad K Sangma announced on June 12 that the MDA Government would work towards fulfilling the aspiration of the people of Ranikor to upgrade the Ranikor Administrative Unit into a full-fledged Civil Sub Division.